This simple salad can be made in under 10 minutes! 1. Whisk together buttermilk, mayonnaise, lemon zest and juice, and garlic in a bowl. Season with salt and pepper. 2. 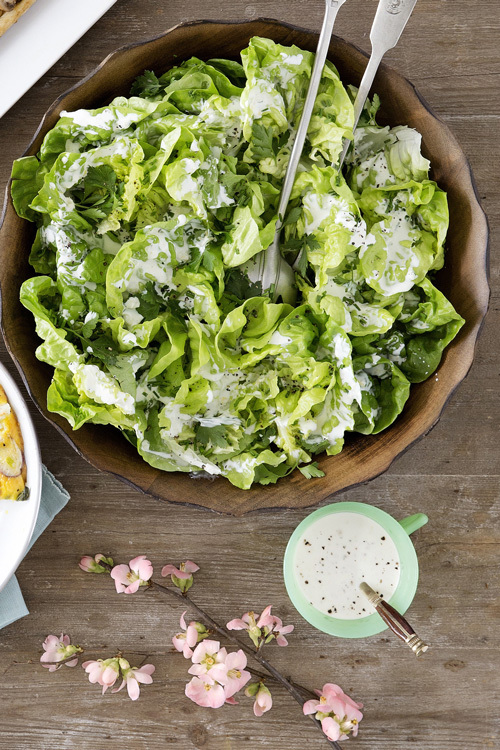 Toss together chives, lettuce, chervil, and buttermilk dressing. Season with pepper. Serve immediately.